Today we are headed over to spend the evening with family for a supper and game night. My husband's older brother and his family drove all the way up from North Carolina. It has been since last summer that I last saw them when I drove the kids and I down to NC from Michigan. I am so excited to see everyone and spend family time together over some delicious food. I have a bunch of dishes prepared to bring and one very delicious appetizer featuring Hormel pepperoni. 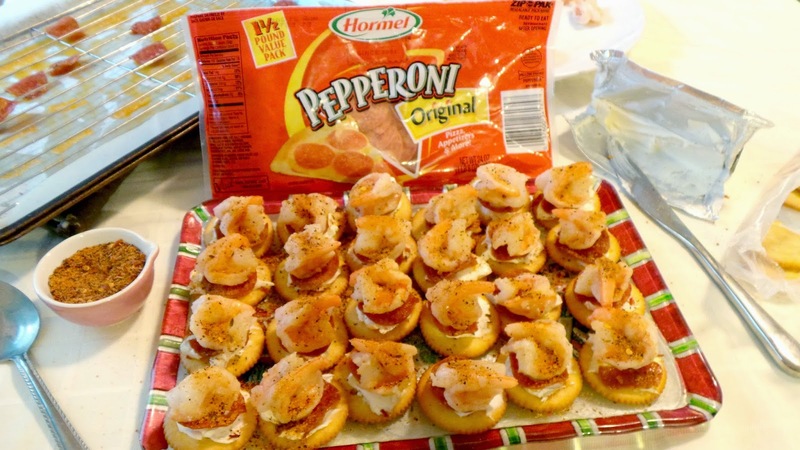 I bought the Hormel pepperoni at Walmart and I am sharing the recipe right here for ya'll to make because these bites are so delicious! I had a lot of pepperoni recipe ideas but this one took the cake. Our family really likes shrimp and the ingredients for this recipe are easy to put together. I imagine these pepperoni and shrimp bites will go pretty fast once we put them out, I've already eaten one or two myself ha! I have to taste test you know *wink*. 1. Thaw or cook shrimp to your liking and then keep chilled. 2. Lay Hormel Pepperoni out on a sheet pan lined with parchment (can use a rack too) and bake at 375 F for 10 minutes then take out and cool. We want crispy pepperoni. 4. Now place a crispy pepperoni slice on top of the cream cheese and press lightly to secure it into place. 5. Place a cooked shrimp on top of the pepperoni and then sprinkle with the six pepper seasoning. I made a serving platter full. It's best to wrap with a bit of plastic wrap or tinfoil to carefully transport. 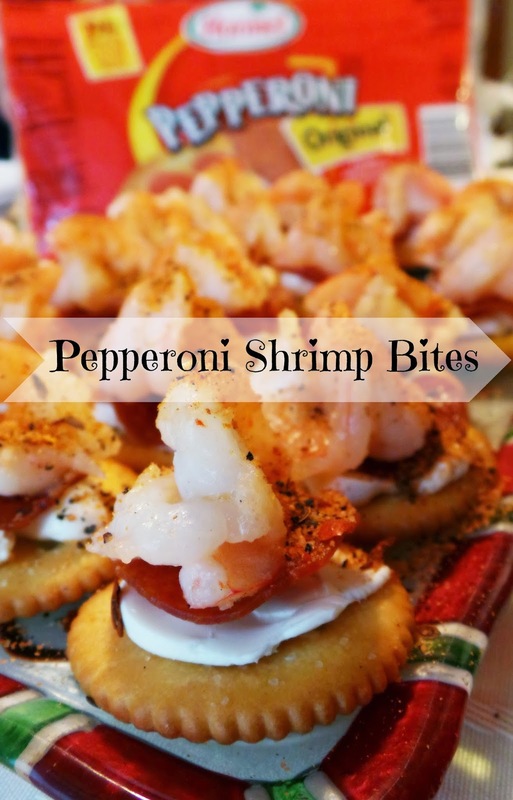 The cream cheese acts as a barrier to keep the cracker crispy and the pepperoni cradles the shrimp ever so perfectly. The flavor of these is phenomenal. Don't forget to print a coupon to save $1.00 on any 2 Hormel Pepperoni packages: http://www.hormel.com/Coupons.aspx You can like the Hormel Facebook page here and follow Hormel on Twitter @HormelFoods.